Happy Friday 13th, do you feel like playing a game on this scariest of days? 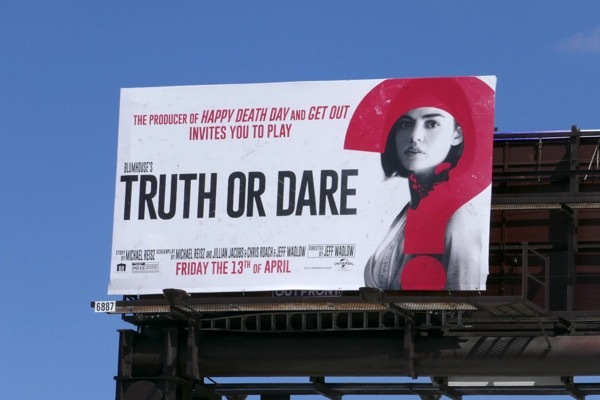 If you're looking for a slice of horror this weekend then maybe Truth or Dare will satisfy your sinister cravings. 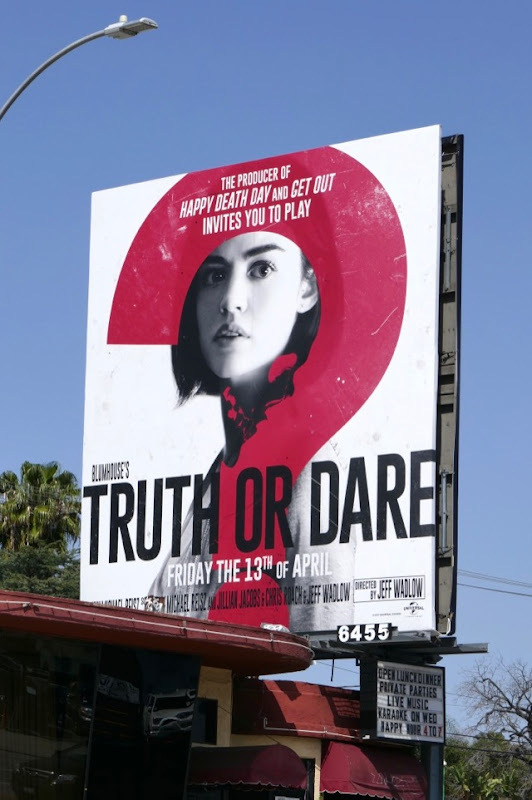 Pretty Little Liars Lucy Hale and Teen Wolf's Tyler Posey star in this supernatural horror flick about a game of truth or dare that turns deadly when someone, or something, begins to punish the players when they refuse a dare. 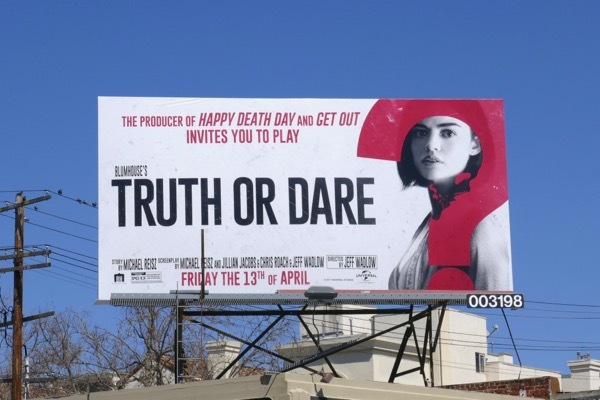 These movie billboards were snapped along Pico Boulevard and Highland Avenue from March 25 to March 27, 2018. Meanwhile fans of Lucy Hale can also check out this recent Life Sentence billboard and Tyler Posey admirers can enjoy these Teen Wolf billboards. 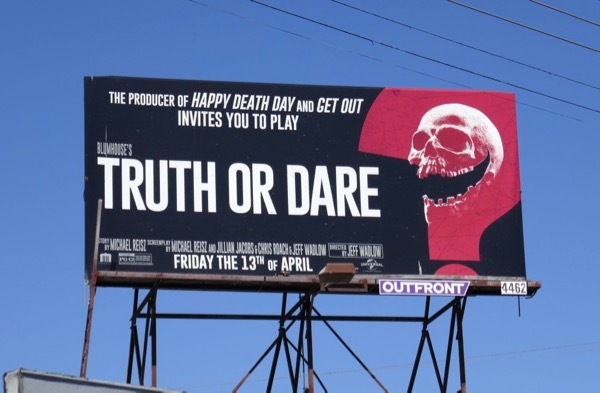 Will anyone survive this creepy game, and most importantly for Blumhouse Productions no doubt, will this film spawn a new horror franchise to the be played again in the future. 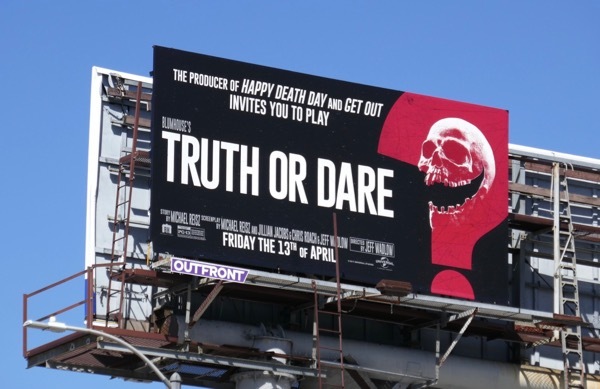 UPDATED: Here's another billboard format for the movie spotted along Lankershim Boulevard on April 13, 2018. 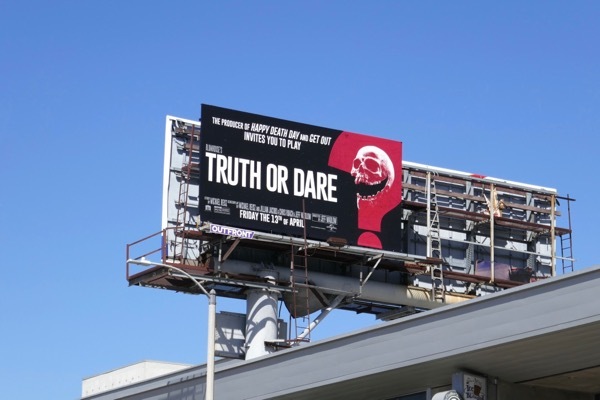 And here's another example of the skull ad creative spotted along L.A.'s 3rd Street on April 17, 2018.